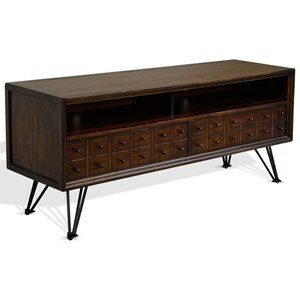 Apothecary-look drawer fronts and steel hairpin legs offer retro charm to this 74-inch TV stand. Open shelves with wire management openings accommodate electronics with ease, while the two drawers provide additional storage. 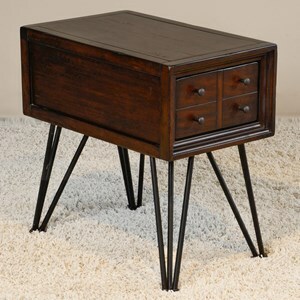 The Hampton 74" Media Stand with Hairpin Legs by Sunny Designs at Powell's Furniture and Mattress in the Fredericksburg, Richmond, Charlottesville, Virginia and Maryland area. Product availability may vary. Contact us for the most current availability on this product. Storage Shelves can accommodate a sound bar. 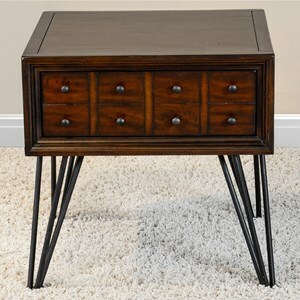 2 drawers. Case Construction Mahogany solids and veneers that are plantation grown and sustainable. 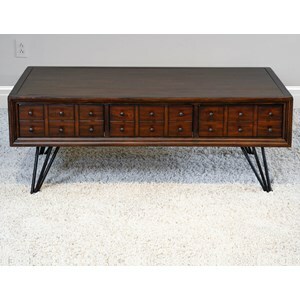 Quality craftsmanship and mid-century design details make the pieces available from this collection an ideal addition to an industrial to eclectic decor. 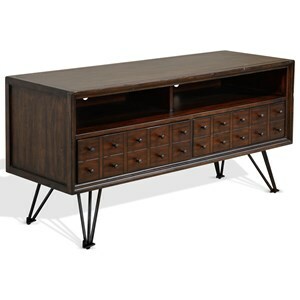 The Hampton collection is a great option if you are looking for Mid-Century Modern Industrial furniture in the Fredericksburg, Richmond, Charlottesville, Virginia and Maryland area. 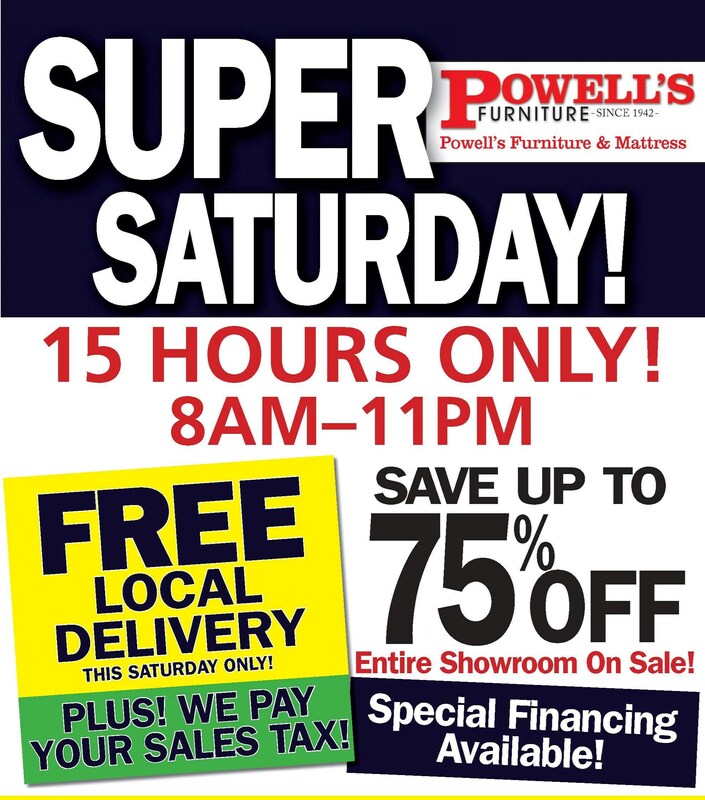 Browse other items in the Hampton collection from Powell's Furniture and Mattress in the Fredericksburg, Richmond, Charlottesville, Virginia and Maryland area.